OK I have a confession, I love my snacks and junk food. I dont think it comes as a surprise to anyone. This list is so fantastic that I had to share with you. 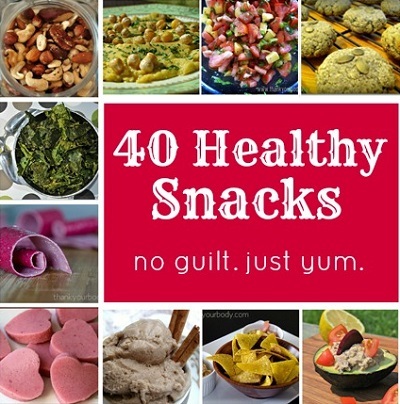 40 Healthy Snacks so you can eat up guilt free and trust me if I love this stuff so will you. Have a look through this list as I am sure you will find something to make for yourself today. In a medium saucepan melt 2 tbsp butter. Stir in the flour. Cook, stirring for 1 minute. Add the milk, salt and nutmeg. Cook over medium heat, stirring constantly, for 7 - 9 minutes or until sauce has thickened.